The Book of Life's first-ever episode was posted in December, 2005, which means that we've been podcasting for three whole years! Here are the Chanukah episodes for 2008, 2007, 2006, and 2005, so you can enjoy them all at once. Makes great background listening while you are wrapping presents or frying latkes! The Book of Life celebrates Chanukah! > Sylvia Rouss tells us about her Sammy Spider series of picture books, which began with Sammy Spider's First Hanukkah. We also hear about the upcoming Sammy Spider's First Simchat Torah, Sammy Spider's First Day at School, and an entry in Sylvia's "Littlest" series, The Littlest Maccabee. > FYI: You can now download mp3 audiobooks of The Chanukah Guest, Hershel and the Hanukkah Goblins, and The Magic Dreidels, read by author Eric Kimmel himself. Find them at Anansi's Store at www.ericakimmel.com. > Musician Josh Nelson (of The Josh Nelson Project) tells us about the part he played in Craig Taubman's Lights Hanukkah concert, and about his own debut CD, Lift. Scroll down to watch a YouTube video of Josh performing L'Dor Vador during the Lights concert. And click to learn how you can get the CD of Lights, and find listings for the TV special. Note that a DVD of the concert will be available during December from many PBS stations as a pledge drive thank-you gift. > Rabbi Ilene Schneider discusses her mystery novel, Chanukah Guilt. Protagonist Rabbi Aviva Cohen's life takes an interesting - and sinister - turn when she agrees to officiate at the funeral of an unpopular land developer. She doesn't expect to be told by two different people that he had been murdered. Nor does she expect that the first funeral will result in a suicide! Josh Nelson performs L'Dor Vador in "Lights"
I wanted to share some exciting news with you. YALDAH has been chosen as one of five finalists in Wells Fargo Bank's "Someday Stories" contest. The general public is voting on their favorite story on www.wellsfargo.com/somedaystories, and on November 10th the story with the most votes will be awarded $100,000!! I'm sure you can imagine how far $100,000 will get YALDAH! We've been in first place since the contest opened, but others are catching up fast. If you could please let all your friends/family/contacts know how they can vote, that would be a huge help. Please consider supporting Leah's publishing efforts! Visit Someday Stories and vote for "Evelyn from MA" - that's Leah's mom. You need to register to vote in the contest, but it's free. Voting ends November 10, 2008 and the grand prize winner will be announced on November 17, 2008. Once again this year, The Book of Life will participate in Blog Action Day. On October 15, 2008, we'll join the worldwide discussion on the topic of poverty. We'll interview the creators of Blog Action Day, as well as some Jewish authors whose books deal with themes of poverty and tzedakah (charity). If you have a blog, you can participate in Blog Action Day too! Sign up at blogactionday.org. This is the Book of Life's 2008 High Holidays Special! Do you prefer the regular half-hour shows that includes multiple interviews? Or would you rather have shorter, single-interview episodes? Post a comment, e-mail bookoflifepodcast@gmail.com, or take the survey in the sidebar here at bookoflifepodcast.com. The survey lasts until the end of September. Our background music is provided by The Freilachmakers Klezmer String Band. Additional background music in this episode includes "Alphabet Song" by Pitx from ccmixter.org and "Letter" by Daveski from podsafeaudio.com. SHOW NOTES:What's new in Jewish books for older kids and teens? Follow me around the 2008 Book Expo America conference to listen in on publishers and authors talking about their new and forthcoming titles! This series includes four episodes: In Part 1 we heard about Jewish pictures books. Part 3 will be about adult books, and Part 4 will be about books (for all ages) relating to the Holocaust. Again, thanks to all the publishers who graciously agreed to be interviewed on the spot! By the way, many of these books have not yet been published, so you may not be able to find the individual titles online. I've provided links to the publishers so you can keep an eye on until the books become available! Your feedback is appreciated! Please write to bookoflifepodcast@gmail.com! Or even better, if you know of any new Jewish kids' or teen books I missed seeing at Book Expo, please post a comment! What's new in Jewish picture books? Follow me around the 2008 Book Expo America conference to listen in on publishers and authors talking about their new and forthcoming titles! I gathered so much audio that I'll be posting it over four episodes. Part 2 will be books for children and teens, Part 3 will be adult books, and Part 4 will be books (for all ages) relating to the Holocaust. CREDITS: Thanks to Yale Strom for permission to record and podcast his violin performance at Book Expo. Our regular background music is provided by The Freilachmakers Klezmer String Band. Your feedback is appreciated! Please write to bookoflifepodcast@gmail.com! Or even better, if you know of any new Jewish picture books I missed seeing at Book Expo, please post a comment! I am pleased to let you know about a Teleseminar on Jewish humor being taught by past Book of Life guest Rabbi Moshe Waldoks. Reb Moshe is the co-editor the The Big Book of Jewish Humor, and he was featured on our Purim episode in March, 2006. He was a hoot, and now he'll be sharing his secrets for two hours, live, on Thursday, June 12, 2008. The program is called Beyond "Laughter Through Tears": A Short History of Jewish Humor. You can participate by phone or through your computer. It'll be held twice that day, once at 1pm eastern, and again at 9pm eastern. Space is limited and registration is $20. I hope you all don't think that I'm doing a commercial here. Reb Moshe emailed me about this event and asked me to spread the word, and I obliged because it sounds really cool and because I like to support the use of technology and social media in Jewish education. And because, having interviewed him, I know he'll be a great speaker on this subject! Get more info and register at www.askmoshewaldoks.com. ME: Hi, I'm Heidi Estrin from the Sydney Taylor Book Award Committee and The Book of Life podcast. Do you have any new Judaic titles I should know about? ME: Do you mind if I record you for my podcast while you tell me about the book? 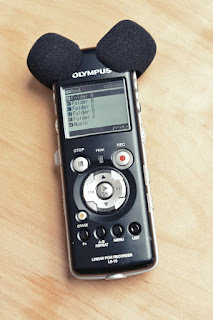 It's remarkable how much fear can be inspired by a tiny little handheld microphone, especially one with cute Mickey Mouse ears. But seriously, I really want to thank the many brave souls who spoke to me about their wonderful new books at BEA, and to reassure them that I will be editing the audio before I post it. Everyone sounded great in the first place, and I'll polish it up so we'll all sound even better, not to worry. 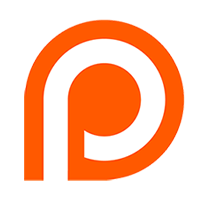 I collected enough audio that I will probably post a multi-part episode. I'm thinking of dividing it into categories: picture books, books for older kids and teens, adult books, and Holocaust books. I'll try to get the first part posted within a week, and more as June progresses. As thorough as I tried to be, I'm sure I can't have found every Jewish book at BEA. I'd love it if people could post comments to tell me about the books I missed. Just click where it says "comments" at the end of the post. Thanks!